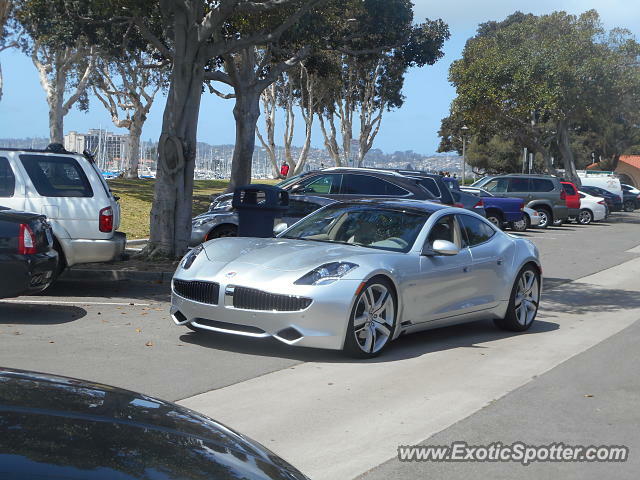 As I walked through the spectator lot of the car show, I saw this beautiful Karma in a pretty standard spec. This is the only shot I got before it parked in the spectator lot. Surprisingly, out of 2,450 Karmas I have seen over 4 in SD in approximately 3 months (this was back in 2016)! Thanks. There is also a grey Alfa Romeo 4c.